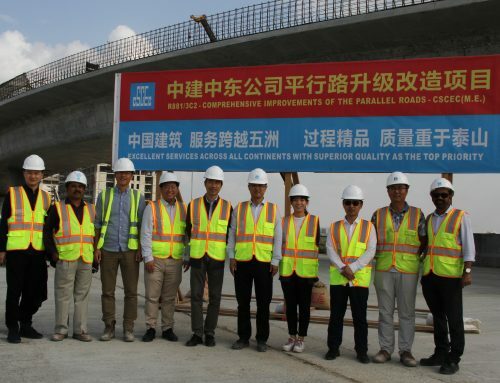 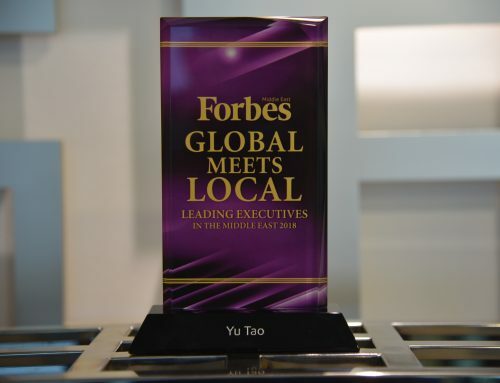 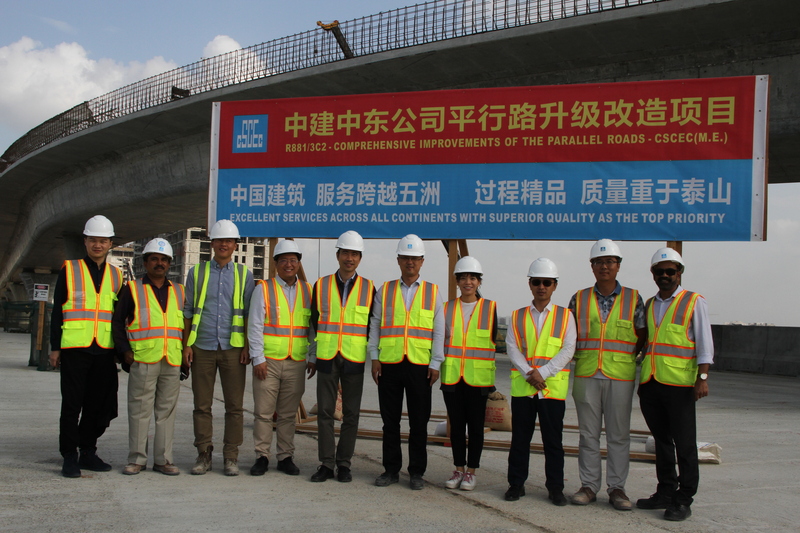 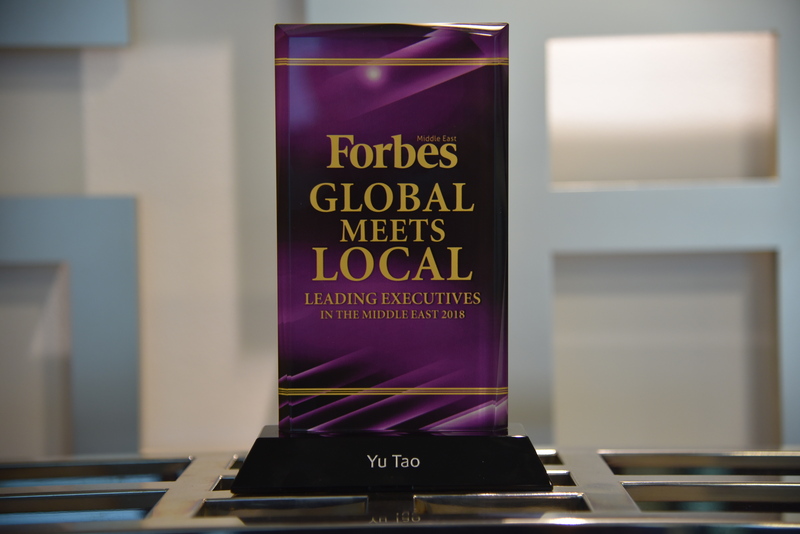 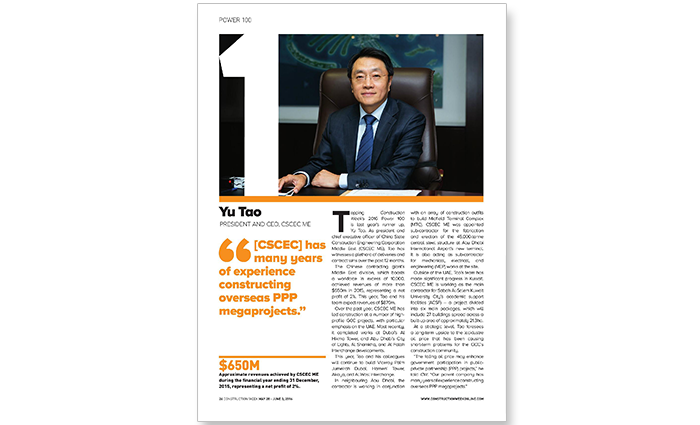 We are pleased and delighted to announce that Mr. Yu Tao, President & CEO of CSCEC ME, is ranked No. 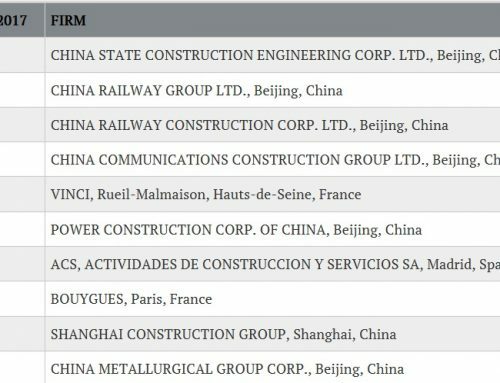 1 in 2016 Construction Week Power 100 List, compared with a ranking of No.2 in 2015. 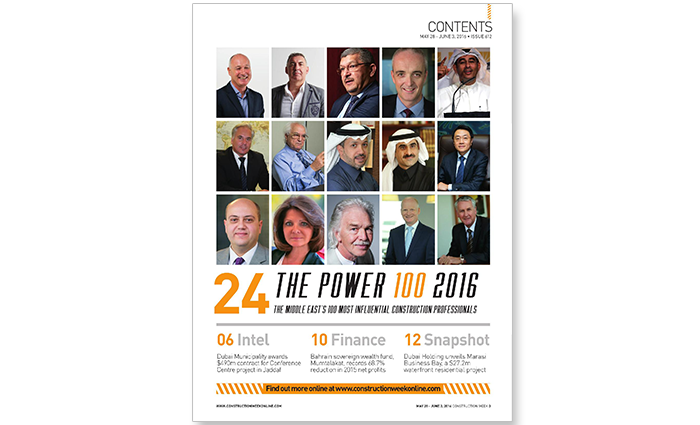 This year’s Power 100 is dominated by contractors as well as a healthy selection of consultants and developers. 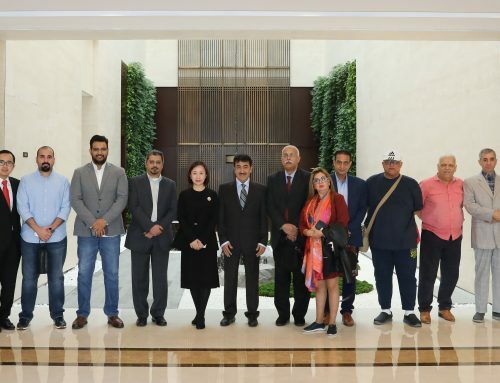 Moreover, although the GCC region accounts for the lion’s share of represented individuals’ operations, many are also active across the wider Middle East and even on the international stage. 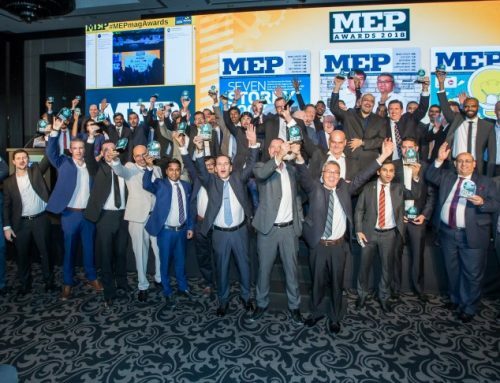 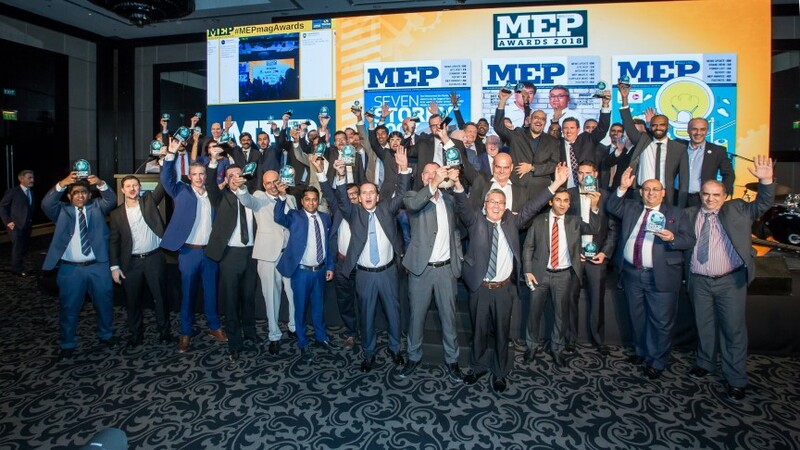 The ranking contains key figures from the region’s major players such as ALEC Group, El Seif Group, Consolidated Contractors Company(CCC), Emmar, Saudi Binladin Group, Arabtec Construction, Al Shafar General Contracting(ASGC) as well as construction professionals from surrounding countries including Lebanon(Arabian Construction Company) and Turkey(TAV Construction) all made the cut. 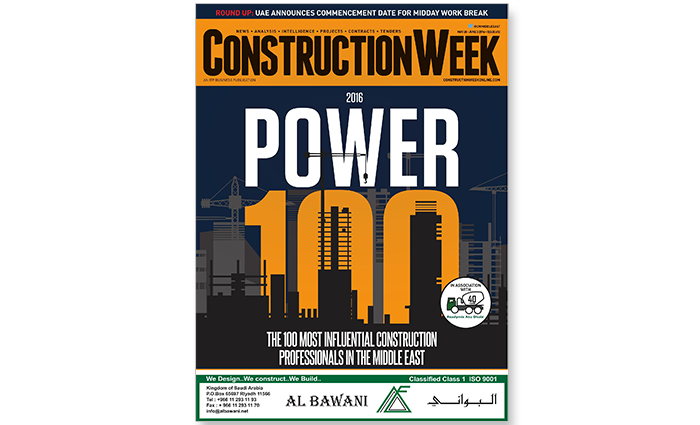 This is the seventh Power 100 annual list published by Construction Week and the candidates included industry leaders in the Middle East region with great influence and contribution to the industry and society.